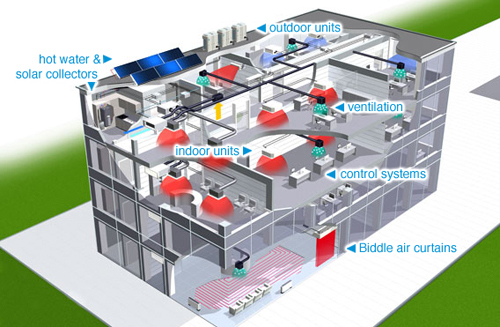 What are the advantages of VRV systems over other systems in large commercial buildings? 1, Space saving for outdoor condensing units. 2, Higher efficiency especially during heat recovery operation. 3, Large number of indoor units connected to one outdoor unit. 4, Different types of indoor units. 5, Complete temperature control for each area. 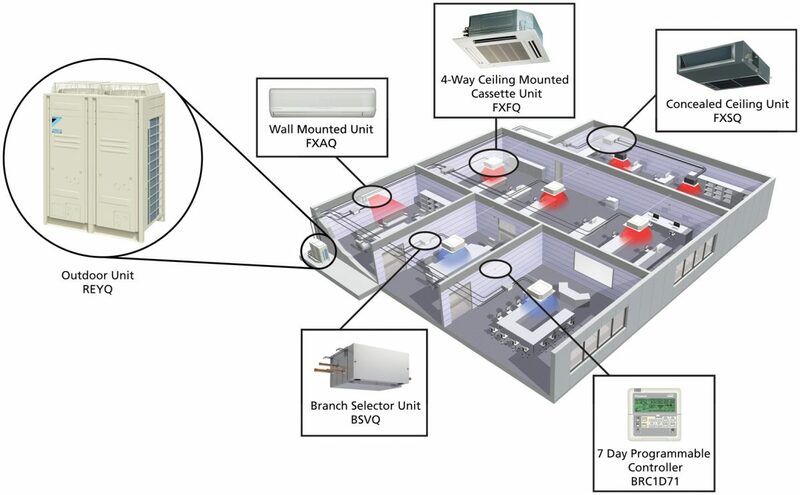 VRV systems can be used for cooling only, heat pumping and heat recovery. It is a proven technology which can play a large part in helping integrated building services design to achieve high energy efficiency.